Brendan O’Driscoll co-founded social music discovery app Soundwave with fellow-Irishmen — cousin Aidan Sliney, and Craig Watson. As CEO, Brendan was instrumental in taking the app from idea to implementation,and with backing from some of Silicon Valley’s elite including Mark Cuban and Steve Wozniak, Brendan and his Dublin-based team went on to sell the business to Spotify last year. 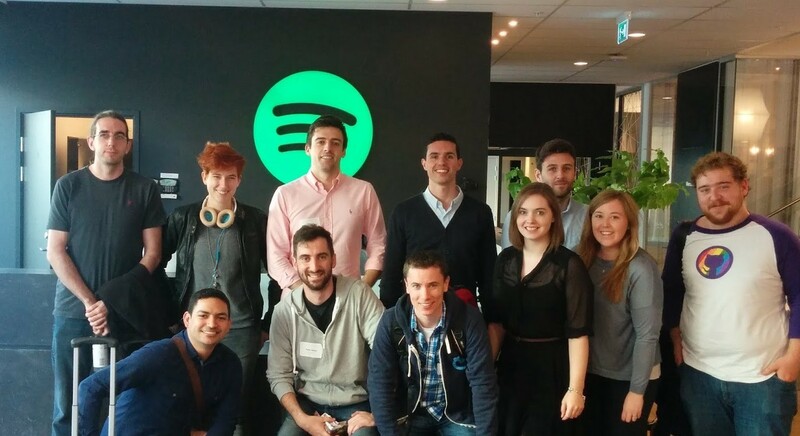 After the acquisition, Brendan relocated to Spotify’s San Francisco office whilst Aidan and Craig work out of its Stockholm HQ. Newnham: Can you tell me about your background? O’Driscoll: I always had a curious mind, and I did Engineering as my undergraduate degree because I thought it was a really interesting problem solving skill set to have — a very generic one that teaches you how to break big problems down to small problems and solve. My dad, also an engineer, worked in telecoms so he worked for big companies over in the US in the 80s and 90s; I was actually born in Boston as a result. And my mum is a volunteer at a nursing home. My dad retired quite young and went on to do some consulting and joined several different boards and so it was always of interest to me that he was juggling several different companies at the same time. I was really fascinated that he could dip in and out of all these different businesses and be able to contribute and add value without having domain expertise in any one industry in particular. Newnham: And when did you first get interested in tech? O’Driscoll: I was actually more of a mechanical engineer, looking at bridges and cars, and stresses and forces and vectors, before I found my way into the actual tech world in terms of computer science as we know it today. I was big on computer games though. I remember playing around with the first mobile phones. My dad had an old PalmPilot and I remember navigating through every option on that phone and trying to find every possible application on it. I would have been less than ten years of age then. Newnham: You went on to start Soundwave fresh out of college. How did you meet your co-founders? O’Driscoll: So Aidan is my cousin. And when we started discussing ideas, I was studying a Master’s in Sustainable Energy Engineering in Sweden at the time and he was doing a PhD in Computer Science in Ireland. We were always very close but we really started to brainstorm various different problems and potential solutions to those problems over Skype for quite a long period of time before we ended up with Soundwave. Then when we incorporated Soundwave, we went through an accelerator program in Ireland called the NDRC (National Digital Research Centre) which is the Irish equivalent of Y Combinator. It incubates about ten companies a year and provides them with micro seed funding. And when I was going through that program, I realized that I had a good enough comprehension of the product vision and the overall vision for the company, and that Aidan had the technical experience but we were lacking that third peg of the detail-orientated “closer” as such. Soon after, I was pitching at an event one evening and Craig (Watson) came up to our table and asked around ten very incisive, cutting questions that I had never even thought of before and I found that really interesting. He started asking about our business model and what we are going to do with our data and how we were going to close our investment round; just a whole bunch of insightful questions. So I relayed this back to Aidan and we both realized that when it gets to that stage, neither of us have the skill set that is required, and that this guy seems to be thinking about it before we even did, so the very next day we brought him for a coffee and we shook hands on him being the third founder. Newnham: So were you and Aidan just brainstorming ideas because primarily, you wanted to set up a business, and you settled on Soundwave? O’Driscoll: Yes, in a way. I was always keen to set something up and we were always, in general, just chatting about different ideas. Before that, when I was very young around seventeen/eighteen, I set up a people-powered rickshaw business. That was just a trial run for setting up a business. I thought it would be interesting as it gave me visibility of all the different components of a business. Then from there, I was like, “That was fun” but obviously it’s not massively scalable and neither is it my long-term ambition to be the king of rickshaws, but it gave me the training wheels and the confidence to then go, “OK, what could a bigger, more established business look like?” And what are bigger, more tangible problems that need solving? And that’s when Aidan and I would spend a lot of time just chatting really. Not with a purpose as such to set up a business but just intellectual stimulation almost. And that’s when the idea of Soundwave came about. I was about twenty-one or twenty-two then. Newnham: And why the problem of music discovery? O’Driscoll: It was a problem we had. I was living in Sweden at the time and he was in Ireland so we used to Skype and one of the recurring topics that came up was trading recommendations. “What books are you reading?” “What movies are you watching?” “What music are you listening to?” And then what we noticed was that we were both listening to a lot of music on our mobile phones and, at the same time, there was a rise in streaming services so it would be awesome if we could figure out a real-time feed so I can see what’s on your phone and you can see what’s on my phone. 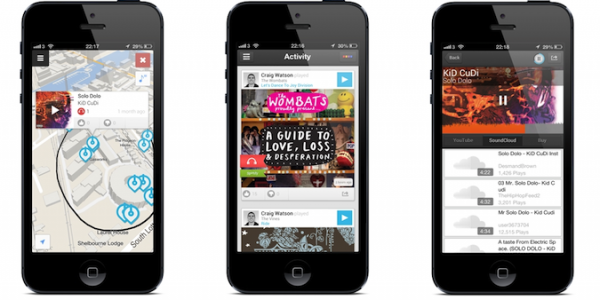 And imagine how simple and passive that music discovery experience would be like? And Aidan said, “Hey, I think I actually think I know how that can be done.” And so that was how Soundwave was born. Newnham: So you get started on the app. What were the first few things you had to do to get the business going? O’Driscoll: So we went through that accelerator program which was amazing. It was a startup school essentially. I had finished university the day before I incorporated Soundwave so that accelerator gave us exposure to the simple building blocks of incorporating a business, how to hire, finance, what fundraising looks like, all the basics of a business. I went through that program for about three months, mostly by myself, as Aidan was still working full-time and Craig only joined at the very end. Our bet with Soundwave at the time was that we wanted it to be a huge bleeding-edge consumer high-risk, high-reward type of business and we knew that for that type of business, we would need a lot of capital. So I actually focused a lot on refining and crafting the story of Soundwave so that we could tell a very strong and exciting narrative around how we were going to be the “Instagram for music.” And how hundreds of millions of users were going to download the app. I actually think we separated ourselves out at the accelerator, partly because when the final demo day for investors came at the end, every other company there was fundraising for maybe €50,000, €75,000 or €100,000, and we were asking for a million dollars. And that massively made us stand out. We went first on that demo day and by the day after, we had a term sheet from a leading VC for a million dollars, so I think it kind of worked out that we had so much time crafting a compelling story. Newnham: What did you have to show at this stage? What did the app look like when you were asking for $1MM? O’Driscoll: We had a very rough web app that we could run on our phones and our laptops. But if you remember Last.fm — it was a very popular service at the time where you could scrobble what you listen to — but their big downfall was you could only scrobble what you listen on a desktop but when it came to listening to music on mobile, the only implementation they had to track your music was for you to download a Last.fm music player and then play that music through that music app which is a huge barrier. I mean, why would a user download a different music-playing app just in order for that music to be tracked? So our big IP was that we could play any song on an iPhone or on an Android, whether it was streamed or downloaded illegally or purchased through an App Store or saved locally. We could play that song and have the metadata of that song pop up in our web app so you play a song on your phone and then a few seconds later it says, “Brendan played this song at this location at this time.” Which was us basically showing that we had figured out something that Last.fm hadn’t. And they had just sold, at the time, for a couple of hundred million dollars. They had hundreds of engineers and they couldn’t solve this problem yet we had. So that was our original IP which got investors interested. Newnham: A lot of press focused on your supporters and investors such as Steve Wozniak and Mark Cuban. How does a startup from Ireland go after people like that — how did you approach them and how did you get investment? O’Driscoll: That is like my favourite part of the entire journey. So we won that accelerator program. One of the judges on the panel was ACT Venture Capital and offered us a term sheet a day or two later and it was for the $1 million we were raising for. The big twist with the offer though was they also allowed us to backfill as much of their money with other investors’ money as we wanted. So that was a huge win for us. All of a sudden, we had $1 million in the bank but we could also go to other investors and say, “Hey, we don’t need your money. We want your money.” It meant we didn’t have to go cap in hand saying we needed money in order to survive. It gave me carte blanche to go out to the biggest and best investors with nothing to lose essentially. Ten minutes later, Mark wrote back saying “Send more info.” So I called up Aidan and was like, “Hey Aidan, you will never guess what — we actually got a reply.” We checked to see if it was a fake email address but it wasn’t. At the time, we were filling out some due diligence forms for ACT Venture Capital so we fired some of them over to Mark and we corresponding three or four more times via email, with Mark asking some pretty insightful questions. He wanted to see a working demo on his phone so I sent him an APK for his Android device, and after all that, he then committed to investing $250,000 in our first round. Newnham: So you had Mark Cuban before Steve Wozniak? I knew he was based in London so I got her to write back and say “As it happens, our CEO will be in London next week and the week after” offering a massive long spread, and he was like “Well, I am free Thursday week if he’s around?” So I booked a flight and went over and met him. 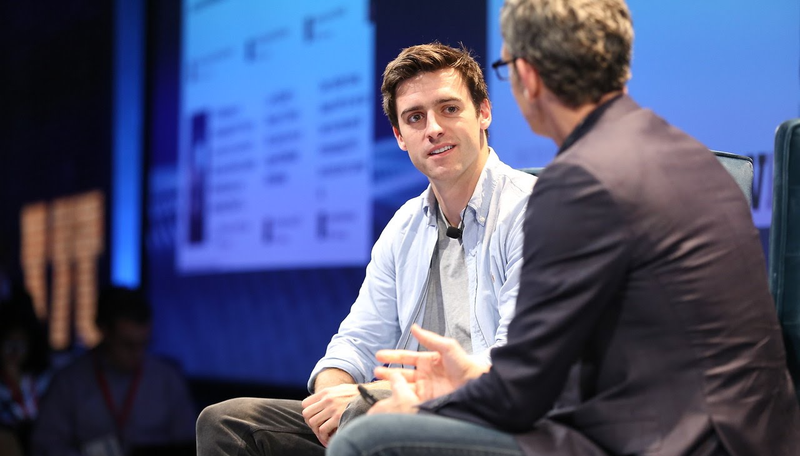 I knew he was a massive Apple fan — he had just made an investment in Summly, Nick D’Aloisio’s company, and so I continued to keep him up to speed with what we were doing after we met, and he became a big fan. Then when we came to setting up our launch event at Apple — another separate side of the story was we had become very good friends with Apple and Google — so I relayed to Stephen that we were launching our app in the Apple HQ in London and that he should come along. He agreed so then I said we were actually doing a Q&A and I said he should answer a question. He agreed and then I said, “Well actually what we could do is have you and I go on stage together and you could be the one who does the Q’s and I will do the A’s?” And he said, “Yes, sure.” That then turned into an official Apple video podcast with Stephen and I on stage for an hour. 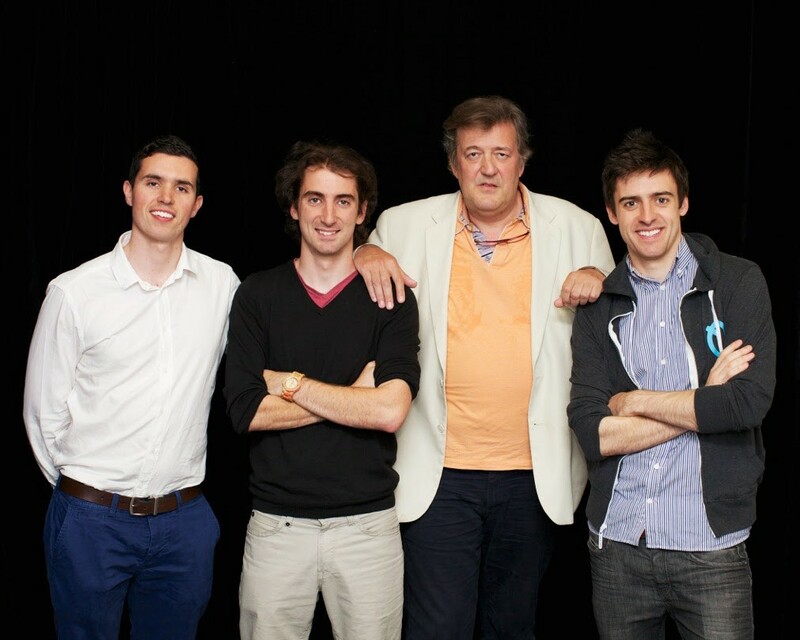 And that was how we got Stephen Fry. We were very bullish and very confident at the time. Then Steve Wozniak was probably my favourite one. I caught wind that he was speaking at an EBIC conference up in Derry, in Northern Ireland so I very quickly emailed the event organizer and asked for the graveyard 8am speaking slot and he was like “Sure, no bother.” That gave me a speaker’s pass and, of course, Steve Wozniak had a speaker’s pass. I then added him on LinkedIn and he accepted so I said, “Steve, great to connect. By the way, I am speaking at the same event as you in Derry next week. We should have a coffee.” And he said, “Yeah, no problem, I am staying at this hotel. Let’s meet in the lobby at 12pm.” I was like, “Oh my god… OK.” But I didn’t actually expect him to be there. I turned up at 12pm and he was just sitting there in the lobby so I walked straight up to him and we chatted for about two hours. I showed him the pre-launch demo. Then somebody, an hour or two later, shoved a camera in his face and they were like “What cool things have you seen today?” which kind of caught him off guard but he said, “I just saw Soundwave and it’s a music app which fits my life so perfectly.” So I took that soundbite and, for the next few years, used it everywhere. Newnham: Brilliant. So you get investment which helps with the PR. How else did you get traction for the app? So we realized the two gatekeepers to our industry were the App Stores and the journalists so we spent six months actively including App Store editors and journalists in our journey and getting them emotionally bought into it, ahead of any launch. You know, if an app launches on a Friday, a lot of people will ring up journalists on a Thursday and they’ll ask them to cover them and the journalists will be like, “I don’t know you from Adam” or won’t even respond whereas we recognized the importance of relationships so we actively spent those six months building relationships with all the Tier 1 journalists and also with App Store editors in both the Apple App Store and the Play Store. So we built up a really strong relationship with them. They asked what our plans were and we said a music social network which is going to be powered by x technology and we’re going to release it on the App Store and it’s going to be awesome. So they started helping us pre-launch with our user experience etc and, on day one of launch, we were featured as Editor’s Choice App in the App Store worldwide. At the same time — this was 2012 — Android was a thing but it was very much secondary so app developers were building iOS apps and then if the apps were good, then they would port the exact same designs across and release on Android. And Google absolutely hated that so they built this huge online app developer manual which was all about how to build best practices for Android. So we downloaded like this 350 page manual and anywhere where it said An amazing Android app developer should do x, y and z, we would replace that sentence with The Soundwave Android app developer team has done x, y and z. We then printed the 350 page manual out and sent it in a package back to Mountain View which massively caught their attention. They were like, “Oh my god, someone actually read our manual. Someone’s paying attention to the love and attention that we’re putting into our platform and someone’s putting that equal attention into their apps.” So, again, on the day that we launched the app, we were Editor’s Choice in the Play Store which meant straight away, we were going from around 1,000 to 5,000 pre-launch users as beta testers, straight to the next day where we had tens of thousands of new users coming in every day. Newnham: Assuming you had more users than you anticipated upon launch, did you experience any early teething problems? O’Driscoll: We planned meticulously for this so in terms of the back-end, there actually wasn’t any issues. Our back-end guy, Dave Lynch, came from Amazon so he was used to data at scale so we had planned for that crazy amount of volume. You know — there’s that usual maybe broken UI, or bugs or whatever but, again, we were very reactive and were pushing new updates out every hour after we launched trying to solve some of the P1s. Overall, it went really smoothly. Newnham: You mention planning meticulously which a lot of companies don’t do. What gave you the foresight? - OK, we have an app. - We need lots of people to know about it. - What are the main ways lots of people can know about it? Journalists and App Store editors. - What’s the best way to get in front of journalists? Well, we know that if we ring them the night before launch, they won’t listen to us whereas if we go for beers with them twelve times over six months before launch, they probably will listen to us. So it was a very logical pattern and I’ll refer that back to engineering again. You take a very big problem which is how do you get millions of users? And you break it down into very small problems and ultimately, the problem becomes so small that it becomes Go for a beer with the App Store editor. Or send an email to the Google guys saying you read their manual. You know? These are very easy things to do but when you pair them all up, they can solve a really big problem. Newnham: We have talked about early traction but what was your game plan post launch? O’Driscoll: We were exclusively focused on user growth the entire time so that was our key metric. We had ideas around business models and we knew the data we were gathering would be valuable in an anonymized, aggregated data set — trends around what people were listening to in real-time but we really didn’t try and monetize until later. We basically spent the next x number of months and years iterating on the product. And the product actually changed quite a lot. Maybe three months after we launched in June, in September, iOS7 came out and that kind of ripped up what an app should look like and made it look totally different. So the day after we launched, we were building our iOS7 version because we knew it was going to be totally different. We also had issues with retention as we had a lot of users that were downloading Soundwave and discovering new music but, because we weren’t a streaming service ourselves — we didn’t have licenses for the 30 million song catalogue — when you discovered new content, you were pushed out to YouTube or iTunes or Spotify to listen to that content. And then, over time, those streaming services got better and better with their social discoveries so people would then forget to come back to Soundwave almost. So we built some functionality very early on because we recognized that we didn’t just want people to trade music, we wanted them to chat and engage with each other about the music. Talking of features, one of the biggest discoveries I learned during this process was that we had originally built this feature for a user and 8–10 friends to discuss music but what actually happened was people used the feature to find new friends, using Soundwave, that listen to the same music as them. But what happened was people all around the world come together in small little chat groups. So you’d find someone listens to a very rare live B-side Radiohead song in Pakistan and then there’s somebody in Alaska who listened to that exact same song and they find each other through the app and then they create a group and they end up chatting about the song for days and weeks on end. So that was really, really cool because we thought it would be for closed networks but it is actually for completely distributed networks which we weren’t expecting. Newnham: You went on to raise more money. What did you need the money for at that stage? O’Driscoll: We spent the majority of our capital on our development team so that was our largest overhead. 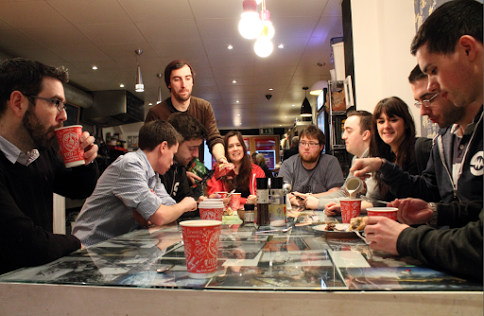 We needed to grow out our team in order to fully grow out the product, and the wider business. We never got there, because of the acquisition, but we had big plans on becoming a Nielsen, firstly for music, and then also for audio. So you know Nielsen, at the time, was a huge multi-billion dollar cap company? I used to love telling this story — they had this thing called a PPM which was a Portable People Meter. It was a physical device that they attached to people’s shoulders that would record what music they were listening to throughout the day or what music they were exposed to. And they spent hundreds of millions of dollars on this device. And we had the exact same thing but it was a consumer app, on a phone, that people actually wanted to use and share the information with us. So we always harboured ambitions of the company becoming the real-time beacon for tastes basically. So understanding all around the world, everywhere, what was being consumed, where and when and, ultimately, inferring from that, why. So we were building out a lot of our team for that — data scientists etc to try and bolster our team to realize that vision. Newnham: You mentioned the acquisition came earlier than expected. Was it always part of your mission to be acquired? O’Driscoll: You’re meant to say no to that question but it kind of was, yeah. We were very young founders who wanted to see if we could run the whole gambit of business. I never envisioned myself being a seventy year old founder of Soundwave. We always wanted to set something up, run through the full process; we wanted to create value and we wanted to realize that value. And, for us, acquisition was the ultimate realization of that value that we created. It was a goal for us. Maybe more of a longer term goal but we always had one eye on that prize. Newnham: You sign on the dotted line of the deal with Spotify. How did it feel? O’Driscoll: Awesome. Loved it. We ran the process ourselves with very little external advisers so really loved being on the front of that mechanical bull and trying to navigate all those waters. It was a great learning experience and obviously to sell to Spotify, the largest music streaming service in the world, as a music streaming personalisation service ourselves, it couldn’t have been a better fit. Newnham: So tell me what you are up to now. O’Driscoll: After the acquisition, the team re-located to Stockholm, as a unit, to carry on mostly the same mission. A lot of it is around onboarding so at Soundwave, we piece together what music you listen to to determine what music you might like, and within Spotify that makes a lot of sense to then try and leverage that data set to enhance user onboarding. Soon after, I relocated to San Francisco to a much smaller office that was struggling a bit, because I wanted to see if I could help be a part of a turnaround for that office but also because we started a new mission out there which is to do third-party app integrations which would increase the size of the user base for Spotify. We wanted to leverage existing user bases within other apps and add value by getting the users of those other apps to cross over the bridge and try Spotify. And one of my first wins which I am super proud of is we integrated Spotify into Tinder and it’s worked out really well. All Tinder users can now connect to Spotify and surface or show their top tracks on their Tinder profile. Then if two connected Spotify/Tinder users match each other or cross each other, it will show the songs they have in common at the front of their profile. Then every Tinder user, regardless or not if they have a Spotify account, can manually select what they call the “Tinder Anthem” which is one song you can manually enter into your profile. So I am really proud of that because Tinder Anthem is a direct correlation to a Soundwave feature called Song of the Moment. Soundwave profiles showed your top tracks and your top artists so, again, a lot of the thesis and the thinking and the functionality of Soundwave lives on in a wildly popular app like Tinder which is great to see. And then another partnership which recently announced is Facebook messenger. Spotify is really close with Facebook so we built a bot for the messenger platform which was announced at F8 this year. It’s a personalization bot which you feed what you’re feeling or thinking about, or what type of music you like, and then the bot will surface relevant content for you. So we’re really playing around with emerging platforms like messenger bots as other mechanisms for content surfacing. Newnham: Looking back on your journey. What were the most important lessons you learned from building and selling Soundwave? O’Driscoll: Definitely one of the biggest things we leveraged was, thinking from first principles like we talked about; breaking down big problems into small ones is number one. Number two is to find the experts in the areas that you need to learn about, and meet them. It’s such a simple thing but I spent a couple of hours a day, every day, on LinkedIn just looking for the leading experts in the areas I needed to know more in. Then I’d send them a simple intro “Hey, really love what you’re doing. I am doing this. I’d love to learn more about what you’re doing. Could you spare some time over coffee or Skype?” And that had like a 90% conversation rate so you then have this leading expert telling you everything you need to know in a thirty minute session — it’s like having the answers to the exam in your hand. I was relatively poor at public speaking but the accelerator program literally beat that out of me, bringing in actors and stuff. You had to pretend you were robbing a bank with a banana and all this crazy stuff. They made us feel very comfortable on stage so when it came to pitching your startup in a room full of people, that is so much easier than trying to rob a bank with a banana. So those are the main lessons but, like I said earlier, getting your ducks in a row way before you need them to be in a row and thinking ahead is also important. Don’t email a journalist on Thursday night when you are launching on Friday morning and expect them to write back to you. Newnham: Absolutely. We have discussed bots and I know you are interested in AI — what excites/scares you about the way tech is going? O’Driscoll: What excites me is that tech is an enabler — it enables you to solve problems faster than if you don’t have it so the solutions are ultimately more scalable than any manual people-powered solutions. What worries me is when you hear in the press about the rise of the bots and AI and automation are going to replace is or kill us. To an extent, we have to be careful about that we’re not outsourcing our brain’s ability to a third party — machine or service — because it’s like a muscle, like anything else, so if we are not using our own brain then we’ll cease to function as well as we could. Also, the original intent of making freedom flow information has happened so I think the worries, on a broader scale, are security issues. They are tough and only going to get tougher — hackers are getting smarter, breach of databases are going to continue so any new startup now is going to be spending a significant portion of their time playing defense rather than just being free to innovate. You have to spend a large chunk of your tech resources on playing defense against these new attacks. In general though, I am bullish on technology. It is an enabler to faster innovation but also it opens the world and makes everything much more accessible. Newnham: As a mentor, what advice do you have for young founders? O’Driscoll: Well it’s amazing how many people I have met, even two or three times, and I still haven’t understood what their business does. So being able to craft a compelling narrative that is one or two sentences long, “We are doing this because that matters and as a result, this thing happens.” It is amazing the inability some have to craft a very simple sentence or narrative that sums up a compelling mission statement. The second thing I notice all the time, especially in super early stage founders is a lack of desire to want to share their idea with external parties because they think someone is going to steal it. I keep telling everyone there is zero value, literally zero cent value, in your idea and there’s 100% value in your ability to execute your idea. So you should be shouting your idea from the rooftops because all that is going to happen is that you are going to get feedback — some of it bad, some of it different, some of it good, which is going to help you further refine your idea and help create more value for it. This idea that Google is going to steal your idea or your idea is so amazing that you’re going to get ripped off — I’ve just never ever seen it happen. Nobody has ever had an amazing and said it to the wrong person and the wrong person has gone off and built a billion dollar business. It just doesn’t happen. It doesn’t exist, yet there are millions of people with ideas that aren’t going to go anywhere because they are too afraid to talk about it. Newnham: Very true. Final question — I know you guys did a lot of things right but, if you could go back in time, what one piece of advice would you give yourself when you first started? O’Driscoll: We did a pretty good job of trusting our gut but that ability to trust our gut was almost corroded as we felt like we needed to “mature ourselves” and the business and bring in more advisers, and more processes and more counter checks to our gut. And ultimately, that just slowed us down and made us make the wrong decisions, so I went full 180 again and went back to just trusting my gut as that is what got us there in the first place. I think there’s an impetus to act more, almost, responsible or mature or have more grown up processes in place when, ultimately, it is your speed of decision-making and your gut that got you where you are and will get you where you need to go. Until, clearly, if you are a thousand-person company, then you can’t be swinging wildly but up until then, I think a lot of it can be done with quick, fast and responsive decision-making. That would be my advice.